BLOOMINGTON, Ill.— Three Illinois Wesleyan University faculty members were invested as endowed professors or chairs at Commencement. “Endowed positions honor faculty members who have distinguished themselves at the highest levels in teaching and student engagement, a record of outstanding scholarship or artistic achievement, and service at the highest levels of the university,” said President Richard F. Wilson in introducing the honorees. They include: Educational Studies Professor and Chair Irv Epstein to the new Ben and Susan Rhodes Endowed Professorship in Peace and Social Justice; Associate Professor of History Gordon Horwitz to the new Davis U. Merwin Endowed Professorship in History; and English Professor James Plath to the R. Forrest Colwell Endowed Chair of English. 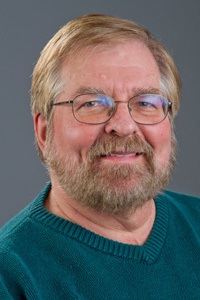 A member of the faculty at Illinois Wesleyan since 1996, Epstein has twice served as chair of the department of educational studies, interim director of the International Studies program, director of the General Education Program, and associate dean of the faculty. 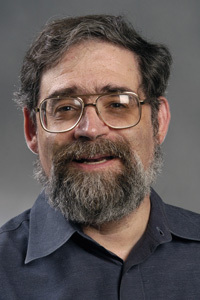 In addition to his role as chair and professor of educational studies, Epstein serves as the founding director of the University’s Center for Human Rights and Social Justice. Epstein was instrumental in the establishment of the center, which supports campus initiatives related to human rights and social justice. Epstein has also taught IWU’s “International Human Rights” course for more than a decade. A comparative educator by training, Epstein’s scholarship has focused on examinations of the conditions of childhood in an era of globalization. He has published three books, one guest-edited journal issue, 25 journal articles and 22 book chapters. He has also served as associate editor for Comparative Education Review and co-editor of the ASIANetwork Exchange. Epstein’s professional service includes membership on the board of directors of the Comparative and International Education Society and service on the board of directors of the Scholars at Risk Network since its inception in 1999. A graduate of Lake Forest College with a bachelor’s degree in history, Epstein earned a master’s degree in education at Claremont Graduate School and a master’s degree in history from the University of Toronto. He holds a Ph.D. in comparative and international education from the University of California, Los Angeles. He taught English and social studies in the Los Angeles public schools in addition to teaching experiences in Hong Kong, Taiwan and Australia. The Ben and Susan Rhodes Endowed Professorship was established by Sally A. Firestone ’69 to honor her friends, Susan and classmate Ben Rhodes ’69. Firestone’s gift established the 10th endowed professorship in the University’s Transforming Lives fundraising campaign. Epstein is the first person to hold the new professorship. A modern European historian, Horwitz’s research expertise centers onstudy of the Holocaust. Horwitz is the author of Ghettostadt: Łódź and the Making of a Nazi City (Harvard University Press, 2008), which was selected as a finalist for a National Jewish Book Award. He has presented numerous papers and presentations on Łódź, a Polish city that in 1939 was one of the first occupied cities to be annexed to the Third Reich. Łódź contained the second-largest Jewish population in Poland, and Horwitz’s book examines its wartime ghetto in the context of Nazi efforts to ethnically transform the city and the region in which it was located. Horwitz is also the author of In the Shadow of Death: Living Outside the Gates of Mauthhausen (The Free Press/Macmillan, 1990), a study of the way in which the civilian population surrounding the Austrian concentration camp related to it. He has also contributed chapters on the Holocaust to several scholarly works. Horwitz received a bachelor’s degree in history from Princeton University before earning master’s and doctoral degrees from Harvard University. Horwitz joined the faculty at Illinois Wesleyan in 1989 and has taught courses ranging from “Love and Death in Freud’s Vienna” to “Modern Russia” and “Theory and Writing of History.” He has also served as a member of the Russian, East European Studies and West European Studies teams in the International Studies Program. On campus Horwitz has served as vice chair of the Promotion and Tenure Committee and chair of the Faculty Development Committee in addition to other committee service. Trustee Emeritus Davis U. Merwin established an Endowed Professorship in History as part of his estate plan. Merwin, who joined the IWU Board of Trustees in 1970, passed away in 2013. Horwitz is the first person to hold the Merwin Professorship. A widely recognized scholar on the works of Ernest Hemingway and John Updike, Plath is co-founder and president of The John Updike Society, as well as the author of four books and numerous journal articles and invited presentations on Hemingway and Updike. He has also published on F. Scott Fitzgerald, and most recently edited Critical Insights: Raymond Carver (Salem Press, 2013). In 1995, Plath taught American literature as a visiting Fulbright Scholar at the University of the West Indies in Barbados. Plath’s short stories and poems have been published in ACM (Another Chicago Magazine), Amelia, Apalachee Quarterly, The Caribbean Writer, Cream City Review, The North American Review and many others. Since 2005 he has been a film critic, a member of the Online Film Critics Society, and a Rotten Tomatometer critic. A 2004 recipient of the University’s highest teaching honor, the then-named Pantagraph Award for Teaching Excellence, Plath is responsible for Illinois Wesleyan’s journalism sequence of courses and has served as faculty advisor to The Argus, the University’s student newspaper, since 1988. Currently the outgoing chair of the Promotion and Tenure Committee, he also served three years as chair of the English department and is a continuing member of the Faculty-Staff Recognition Committee. Plath earned master’s and doctoral degrees in English from the University of Wisconsin-Milwaukee. His undergraduate degree is from California State University, Chico. The R. Forrest Colwell Endowed Chair was established in 1972 to honor Colwell, a former IWU trustee. Robert Bray, who formerly held the chair until his retirement in 2014, continues as Colwell Chair Emeritus. Endowed professors and chairs are the University’s highest honor bestowed upon faculty members. Each endowment provides a stipend to the faculty member, an expense budget that can be used for the honoree’s teaching and research activities, and funding for the recipient’s department for similar initiatives.